TPC Sawgrass is home to arguably the finest collection of challenging holes on the PGA TOUR schedule, and the assemblage of PLAYERS Championship winners over the last decade or so is reflective of how much of a difficult test the golf course can be, as it’s produced victors from all over the world. The list of champions in the last decade and a half reads like a who’s who of international stardom. 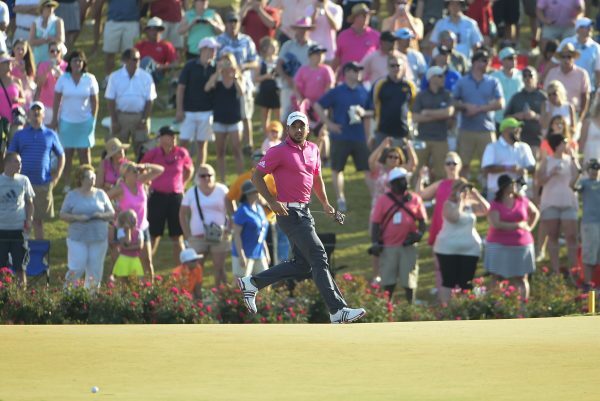 And with golf becoming more and more of a global game each passing year—and with the level of parity on the PGA TOUR reaching a point unmatched at any point in history—it seems as if the trend of international champions is showing no sign of slowing down. THE PLAYERS field for 2018 is already shaping up to be one chock-full of international flare, as 43 golfers who are qualified for this year’s tournament are from countries outside the United States. Choi’s countryman, Si Woo Kim, won THE PLAYERS in 2017 by three shots over South African Louis Oosthuizen and Englishman Ian Poulter. It was his second win on the PGA TOUR, but the one that truly catapulted him to international stardom. At just 21 years old, he was the youngest winner of THE PLAYERS in the tournament’s history. Kim joined the long list of international champions a year ago. Ten of the last 16 winners at THE PLAYERS were from countries outside the U.S., including Kim and Choi (South Korea), Jason Day and Adam Scott (Australia), Martin Kaymer (Germany), Tim Clark (South Africa), Henrik Stenson (Sweden), Sergio Garcia (Spain), Stephen Ames (Canada) and Craig Perks (New Zealand). It remains a bit of a vexing question as to why international golfers perform so well at THE PLAYERS, according to Day, the 2016 champion. But when a golfer does find the winner’s circle, it’s a big honour not only for the individual, but also the country he represents. Kim had Choi’s footsteps to follow in. He says after last year’s victory, they shared a special phone conversation, chatting about what it meant to represent their homeland on the biggest stage on the PGA TOUR. When asked on why international golfers have won seven of the last 10 PLAYERS Championships, Kim specifically said the layout of the course reminded him of some of those back home in South Korea, which proved beneficial to him—it’s a layout, however, that requires golfers to hit it long and straight. The challenge remains in the golf course. Although the layout just had a recent renovation, the scoring conditions—or lack thereof—make for a difficult test. THE PLAYERS has never produced a repeat winner, but Kim says he hopes to buck that trend and continue the one of international players having big-time success at THE PLAYERS Championship. If Kim were to defend, it would mark a run of three straight winners from outside the U.S., which has happened just once before, when Garcia, Stenson, Clark and Choi won four straight from 2008 to 2011. Even if he doesn’t, the opportunity for a golfer from outside the U.S. has a great chance to take his place in the winner’s circle—if history is any indication. 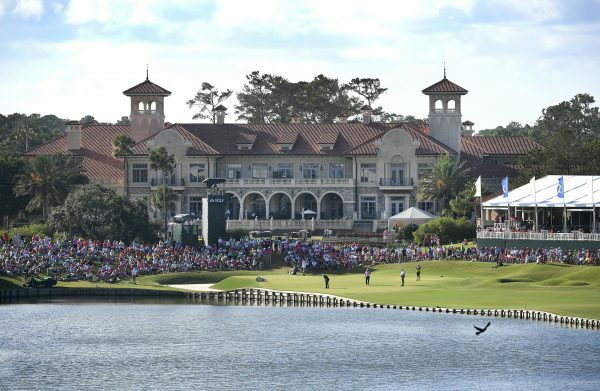 1: It doesn’t take visitors long to spot the vibrant, terracotta roof of TPC Sawgrass as they make the walk up PGA TOUR Boulevard. 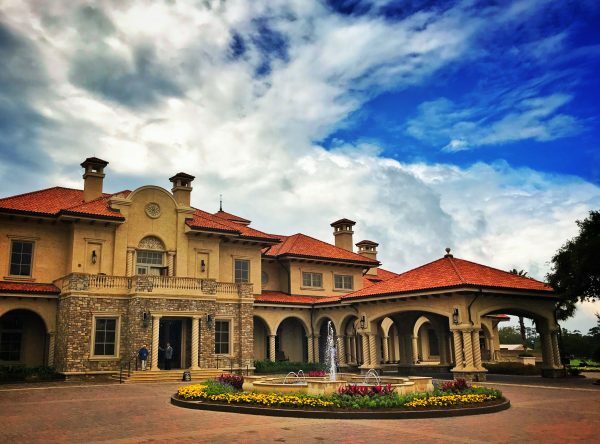 The elegant, Mediterranean-style clubhouse, which will once again serve as the centerpiece to THE PLAYERS Championship this month, remains one of the must-see sites each year on the PGA TOUR schedule. Now, take a rare look inside the clubhouse’s storied walls ahead of this year’s tournament, set for May 8-13 in Ponte Vedra Beach, Fla.
2: A timeless elegance greets guests as soon as they step into the foyer of this 77,000-square-foot clubhouse, constructed just before the start of the 2007 PLAYERS Championship. To the left of its grand staircase rests various pieces of this tournament’s iconic history, while a turn right will take passersby into the West Gallery, which focuses on architect Pete Dye’s original outline for the course—drawn on the back of a local restaurant placemat—and the $1 bill used to purchase the property. 3: THE PLAYERS Championship would be nothing if not for its proud volunteers, who are forever enshrined at TPC Sawgrass. 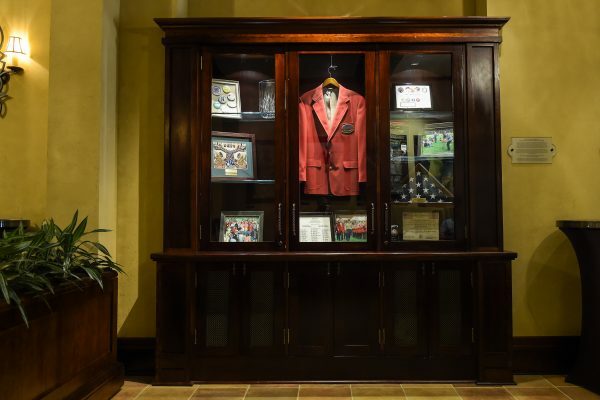 Each year, the tournament chairman overseeing the event’s army of volunteers will don the coveted Red Coat, a tradition that’s continued ever since THE PLAYERS first began in 1974. Every tournament’s volunteers are honored alongside other tournament memorabilia here inside the clubhouse. 4: Not far from that volunteer memorabilia—just outside the doors to the private champions locker rooms of PGA TOUR players—sits the former barber chair of Sawgrass Country Club, which hosted THE PLAYERS from 1977 to 1981. 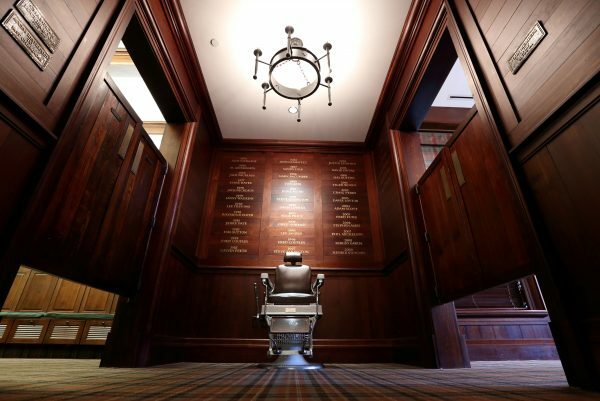 The chair, moved by former commissioner Deane Beman upon construction of the original TPC Sawgrass, was often used for more therapeutic purpose following bad rounds than getting a fresh trim. 5: Only the game’s best are able to prop their feet up in this room. 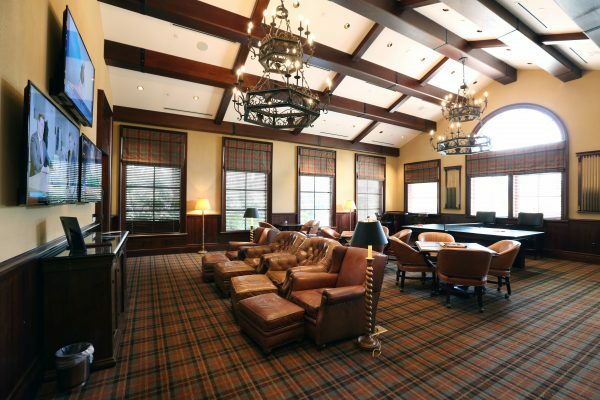 These leather chairs, flat-screen TVs and ping-pong table are reserved for PGA TOUR golfers, who like any professional athlete, appreciate a brief respite before or after competition. 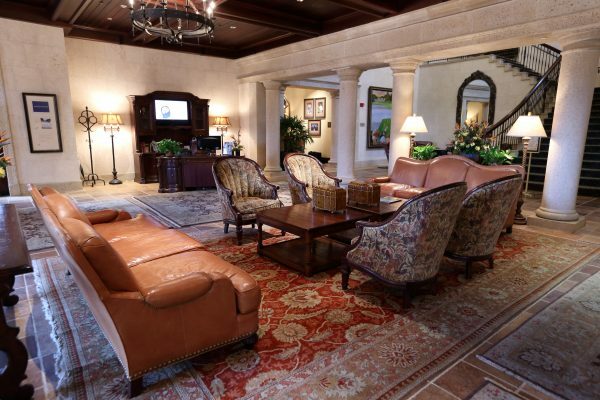 6: While any golfer lucky enough to carry a PGA TOUR card may be able to rest up in the TPC Sawgrass players’ lounge, only a select few can rest their belongings in these exclusive quarters. The mahogany lockers seen here are reserved only for past champions of THE PLAYERS Championship, a small group that South Korea’s Si Woo Kim added his name to in 2017. Another golfer will look to join him later this month. 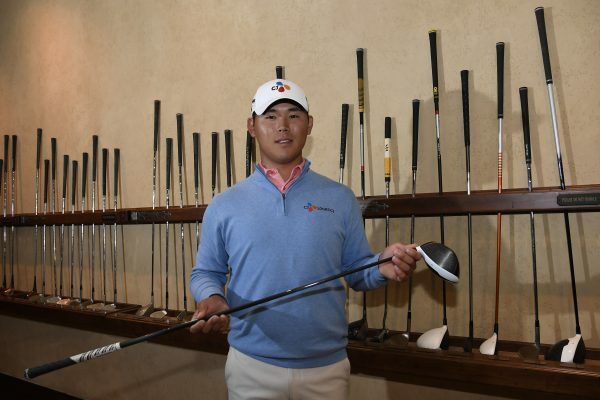 7: A locker isn’t the only thing Si Woo Kim’s name is now engraved on within the walls of TPC Sawgrass. Each PLAYERS champion donates a winning club to TPC Sawgrass for display just outside its restaurant, with icons like Jack Nicklaus, Phil Mickelson and Tiger Woods all contributing precious woods, wedges and winners to this awe-inspiring collection. 8: To reserve their spot in the TPC Sawgrass annals, PGA TOUR players must prove their mettle on the vaunted Stadium Course. Here, Rory McIlory is spotted outside the clubhouse walls during the first round of the 2017 PLAYERS Championship. The purse, which this year sits at $10.5 million, has been won by an international player in seven of the last 10 years. 9: Si Woo Kim took home the 2017 PLAYERS in part because of a bogey-free final round on Sunday. That’s no easy feat on the pressure-packed No. 17, where the unforgiving island green has claimed many a golfer as its victim. The infamous par-3 hole is no stranger to drama: It’s the home of Tiger Woods’ “better than most” putt to win in 2001, Fred Couples’ hole-in-three in 1999 and Rickie Fowler’s birdie in 2015 to win in a playoff. 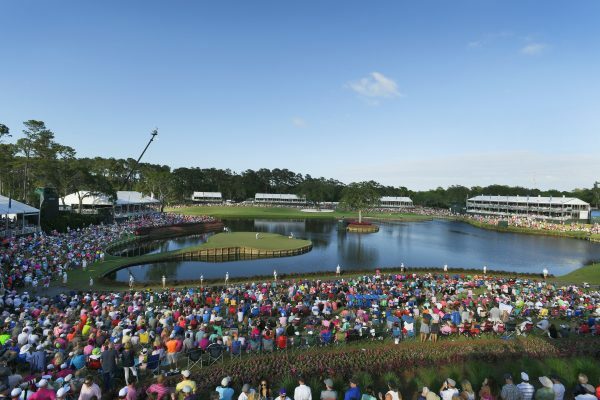 10: Under the shadows of TPC Sawgrass, fans will soon flock to No. 18 green to see the next PLAYERS champion crowned. Who will Si Woo Kim hand off the crystal obelisk to this time? 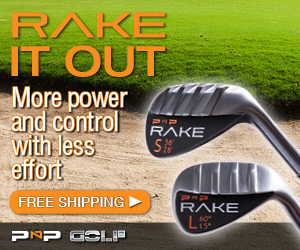 Or, will he become the first golfer in PGA TOUR history to win back-to-back titles in Ponte Vedra Beach? 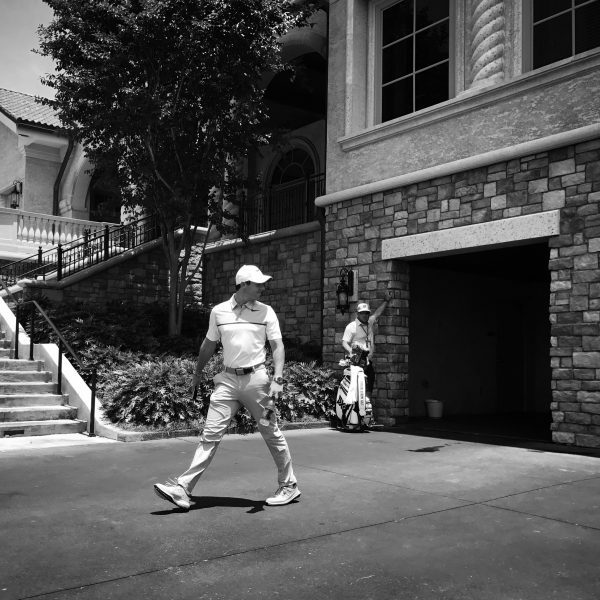 Photos by Stan Badz, Logan Bowles, Chris Condon and Brad Mangin/PGA TOUR.